Mfg. Number: 1358736 - 48"
Mfg. Number: 1358737 - 54"
Minn Kota PowerDrive 55 lb Trolling Motor, 12V is rated 4.3 out of 5 by 4. Rated 5 out of 5 by DT_1988 from Great motor Have had this motor for over a year and it’s never failed me. Good power for my smaller boat, easy install, good pedal and the quick release bracket is helpful for storage and offseason. Will run this until I upgrade boats and then it’s time for an ultrex or terrova with Ipilot. Rated 5 out of 5 by oldnorth from Great features Purchased the PD 55 w/IPilot 3 weeks ago. Best thing I did for our new boat. The GPS is very good and being able to set a course and not have to keep adjusting is a plus. Some folks don't like the fact that there is no foot pedal, but coming from a model with a pedal, the remote is far better. If needed you can stop the prop with a single button press, or, press the anchor button and stay in the exact spot. 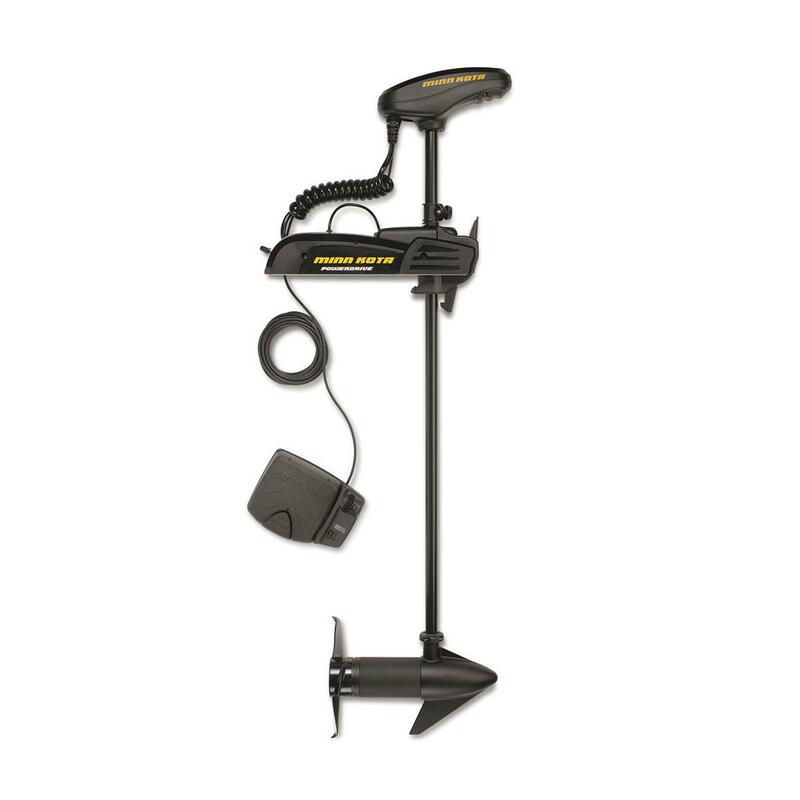 This allows you to fight and land your fish from anywhere in the boat.The US2 is also very good paired with a hummingbird. Rated 2 out of 5 by SadLes from Good if you fish and don’t need both hands I bought my first ever new fishing boat in Spring of 2017. I had never had a boat with a trolling motor before, and this one was recommended. So, I got it with iPilot and it’s been okay until recently. When fishing requires managing the trolling motor while attempting to fish in a situation where both hands are required on the rod/reel, this system is not good.You need to pick on with a foot control. This one can’t have a foot control and handheld. iPilot on this model does not allow for a foot pedal.